The largest economic crisis in the Western Civilization is known as the Great Depression. The stock market crash of October 1929, sent the entire U.S. into a panic. Millions of investors were completely wiped out after this crash. Unemployment began to rise, as did industrial output. 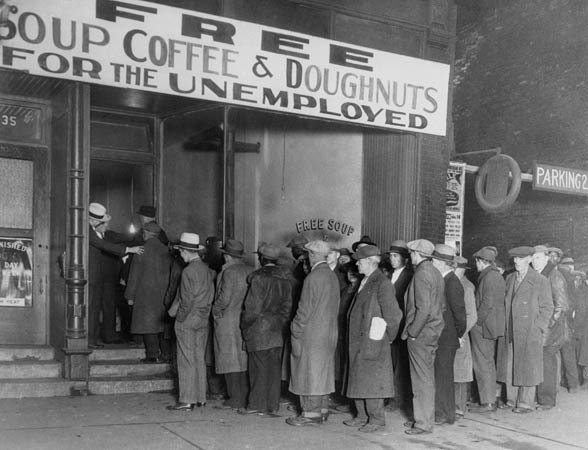 In 1933, unemployment reached 13 to 15 million Americans. It wasn’t until 1939 that Americans began seeing a change. This is the Great Depression and today we’d like to discuss the events that led to such a terrible economic crisis. The past couple days we’ve talked about the Roaring Twenties and how that decade was known for its massive consumer consumption. However, 1929 was the year things began to change. In the summer of 1929, spending began to decline and products began to stay on the shelves. This spending drought began to slow down mass production because so many items were left unsold. During this time, stocks were rising, and then they continued to rise and rise until they reached an outrageous level. These stocks reached such a high level that buyers couldn’t justify these purchases. Finally on October 24th, 1929, the stock market exploded. Investors began to dump their shares in large quantities. Experts say that investors traded around 12.9 million shares that day. This day will forever be known as “Black Thursday.” Exactly five days later, investors began trading shares again. Around 16 million shares were traded on “Black Tuesday.” Panic ensued and all of Wall Street went into a trading frenzy. The millions of shares that were traded became worthless. Most of the investors that had purchased these stocks, had done so with borrowed money. Every single investor that had purchased their stocks “on margin,” were completely ruined. Business could no longer justify production. This led many Americans to lose their jobs. After the stock market crash, consumers could no longer justify their unnecessary purchases. Leading productions to slow down and sometimes even stop. Some employees were lucky enough to keep their jobs. However, that luck wouldn’t last long. The employees that were able to keep their jobs found that their wages were going to be cut. This led many Americans to decrease their daily spending. As unemployment rates increased, many Americans began to fall into a deep pit of debt. Foreclosures began to become the norm for many families. This recession was no longer a normal recession. If circumstances weren’t bad enough, this recession began to get worse. By 1930, around 4 million Americans were out of a job. A year later, that number rose to 6 million. President Herbert Hoover assured Americans that this recession run its course, that this crisis would only last a short period of time. However, America’s leaders were wrong. Industrial production, which had been a booming market, had dropped in half. America’s cities were becoming full of homeless people. 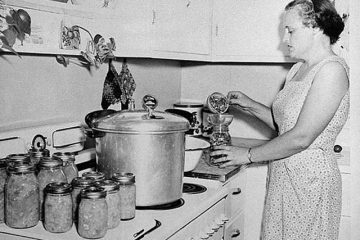 In addition to many Americans losing everything they had, farmers were having their own crisis. Prior to the 1930’s, most American farmers were facing an economic crisis of their own. The drought had left many farmers without a product to sell. Once the stock market crashed, their crisis only became worse. These farmers could barely afford to take care of their crops. Food was left to rot while children starved in the streets. The first year after the stock market crashed was tough. Banks were feeling this economic crisis just like many other industries. In 1930, a large amount of investors began pulling their money out of the banks. This forced many small banks to completely liquidate loans just to give investors their cash. These bank runs did a number on the banking industry. There were two more banks runs that took place in 1931 and one more in 1932. By the beginning of 1933, most banks began to close down. Forcing more Americans out of their jobs. Since banks began to close down, the Hoover administration thought that supporting this industry would create economic return. The administration had hoped that banks would begin to loan again, creating jobs for all those employees that had been forced out. Stay tuned for more information on the Great Depression tomorrow!